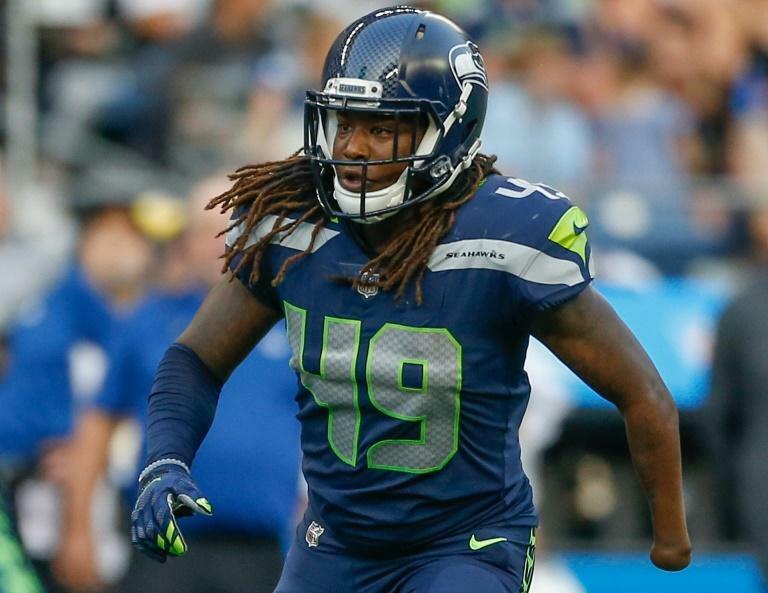 The heartwarming story of Shaquem Griffin received another boost as the one-handed Seattle Seahawk linebacker made his NFL debut on Sunday with his twin brother Shaquill at his side. It was a family affair as they made key tackles together and prior to the start of the game they were greeted by their mother who gave them a loving hug. But the Seahawks couldn't overcome Von Miller, who had three sacks, forced a pair of fumbles and recovered one as the Denver Broncos won the contest 27-24. Case Keenum threw for 329 yards and three touchdowns to win in his Denver debut as the Broncos have now won 18 of their last 19 openers. Seahawks quarterback Russell Wilson threw for 298 yards and three TDs, but was picked off twice and sacked six times. Shaquem started the game in place of K.J. Wright who was out following minor knee surgery. Earlier this week, Seahawks coach Pete Carroll confirmed that Shaquem, who had his hand amputated as a four-year-old because of a rare birth defect, would make his debut in Colorado after impressing in pre-season. The linebacker was drafted 141st overall by the Seahawks.